With integral lumbar support and extra-spacious 36in. width, the Iron Works Historic bath is ideal for a relaxing soak after a long day. The required intricately ornate ball-and-claw feet portray historical charm, and other products in the Iron Works Historic Suite unify your bathroom design. The Safeguard(R) slip-resistant finish adds safety to your bath or powder room and the exterior allows for colour customization. Also available in store by special order only see store for details. 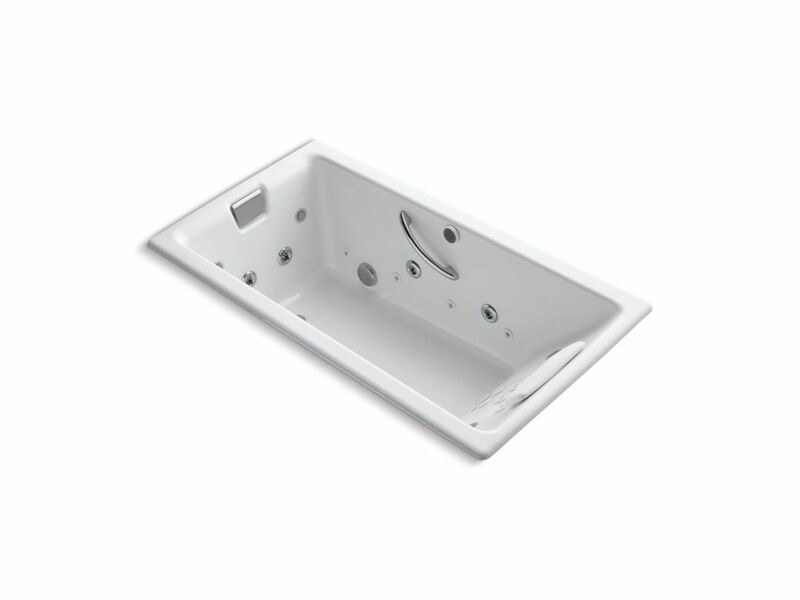 Tea-For-Two 66 inch X 36 inch Drop Inch Effervescence + Whirlpool With Spa/Massage Package, White This Tea-for-Two bath delivers the complete luxury Spa/Massage Package. Effervescence ports release lightly caressing air bath bubbles, while hydrojets, backjets, and neckjets ease away stress with a custom-designed water massage. Meanwhile, chromatherapy washes the area in a soothing spectrum of lights. Fine-tune your experience with the easy-to-use keypad and remote control.